HSGen is a simple computer program that generates examinees’ scores (mostly on IRT scale) in a hierarchical structure (for example, students’ scores within each school and/or within each school district). 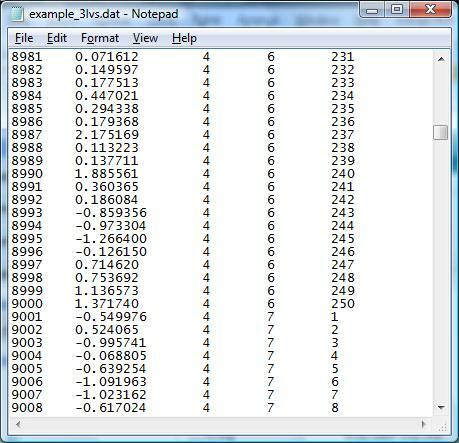 Users can specify a mean value for the highest level groups and standard deviations for each level. This software can handle up to 5 levels of data. To run the software, following steps should be proceeded. 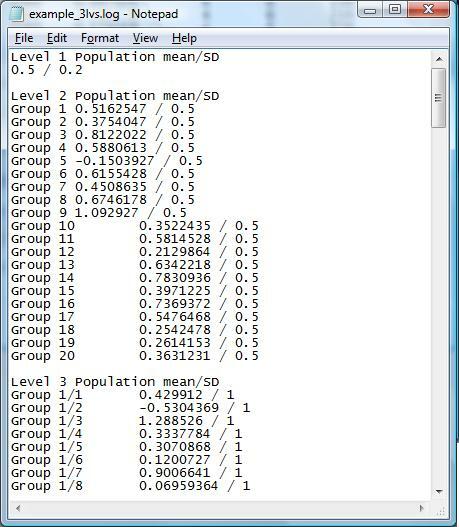 (4) Specify the number of groups (or individuals at the lowest level) right below the level. (5) Specify the filename for output files. 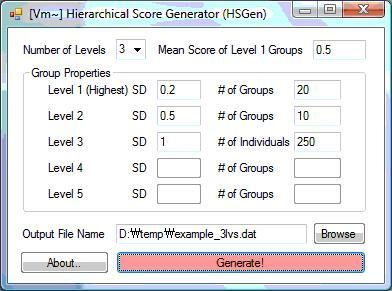 After a run, HSGen generates two output files; ‘*.dat’ is a data file that contains examinee ID, score, group membership info, and ‘*.log’ is a summary report file that contains the mean and standard deviation values for normal distribution where group/individual scores are drawn. The output files are tab-delimited. You are to generate students’ performance scores for a State under which there are 20 school districts. Each school district has 10 schools, and there are 250 students in each school. Following figure illustrates the hierarchical structure. Note: HSGen has been developed for Microsoft Windows Vista (32bit or 64bit). If your system is Windows XP Family and you have been never installed Microsoft .NET framework on your system before, it is necessary to install .NET framework first. If you are not sure if your system has .NET framework, just run ’setup.exe’ file in HSGen_Han.zip. The installation program will automatically check your system and download .NET framework from Microsoft website if your system does not have it. However, it could take several minutes.